Prior to RE/MAX, Larry was a successful multi-unit Baskin-Robbins franchisee with full P&L accountability for marketing and sales, quality customer service, team development, purchasing and accounting. After six years, he built and sold his businesses at a substantial profit and was elected to serve on the Baskin-Robbins National Marketing Committee. 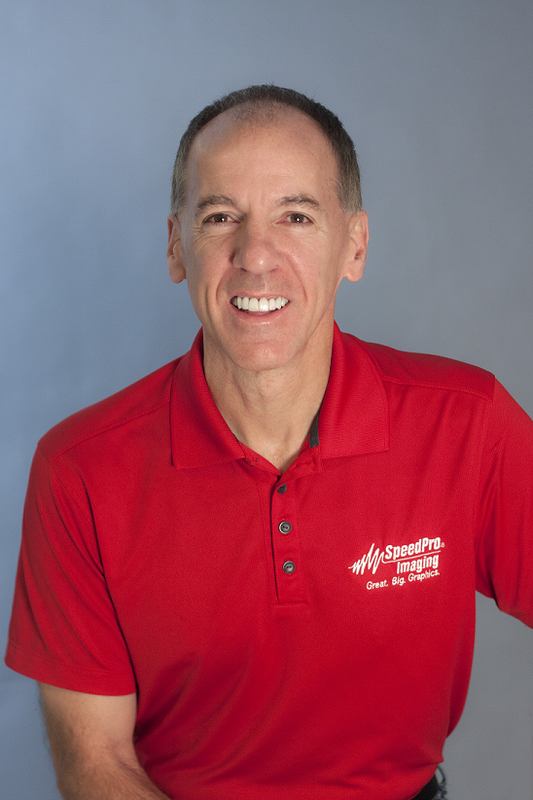 Larry has three main roles as the President and CEO of SpeedPro Imaging: setting the vision of the company, growing existing studio sales and profits and awarding and supporting new studios. 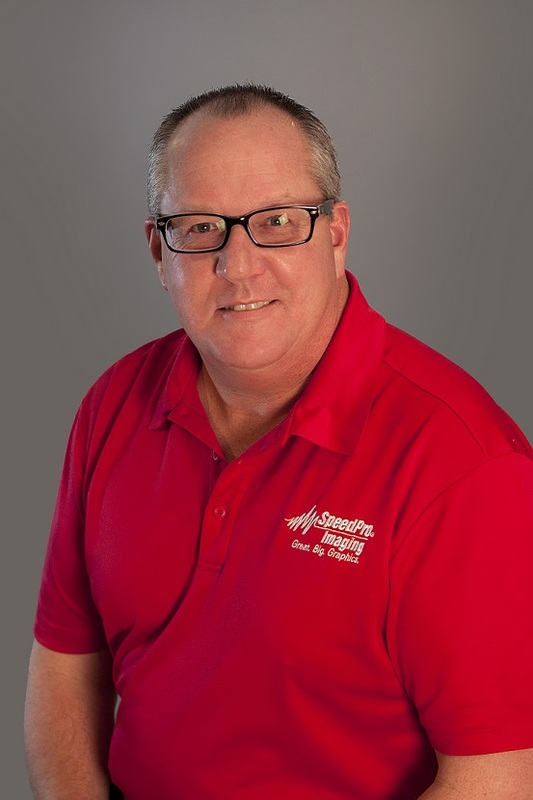 Pat is an experienced leader specializing in franchise management and franchise advisory. 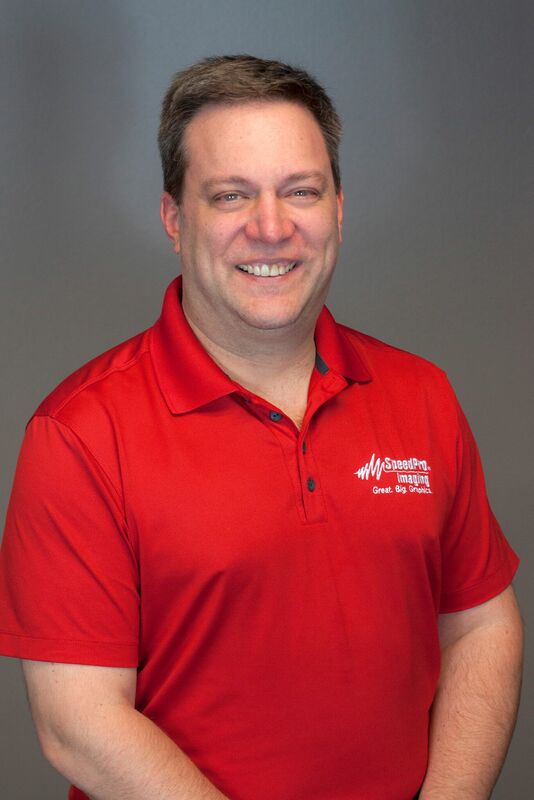 He brings a wealth of knowledge to the SpeedPro network including executive management, global supply chain & logistics including procurement and sourcing management. 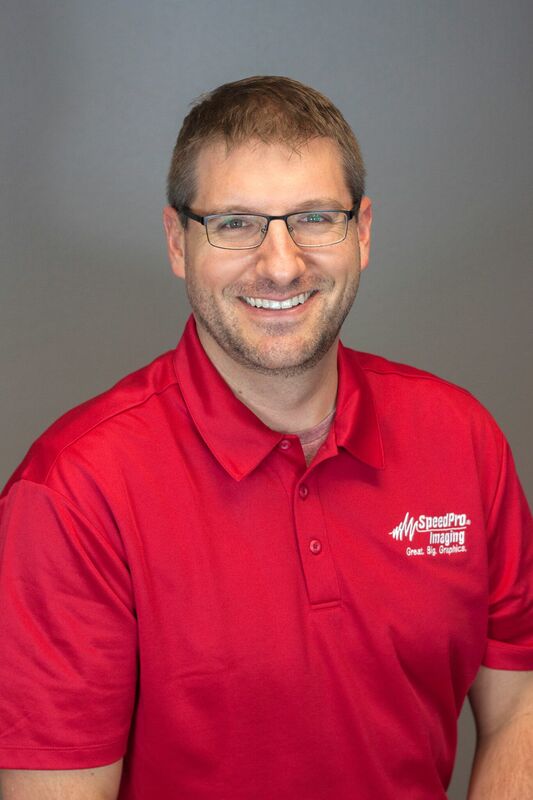 He also successfully owned and operated SpeedPro Imaging Omaha from 2010-2016, which was one of the fastest growing franchises in company history. Jodi originally hails from New York but she and her husband raised their 2 daughters in Colorado. 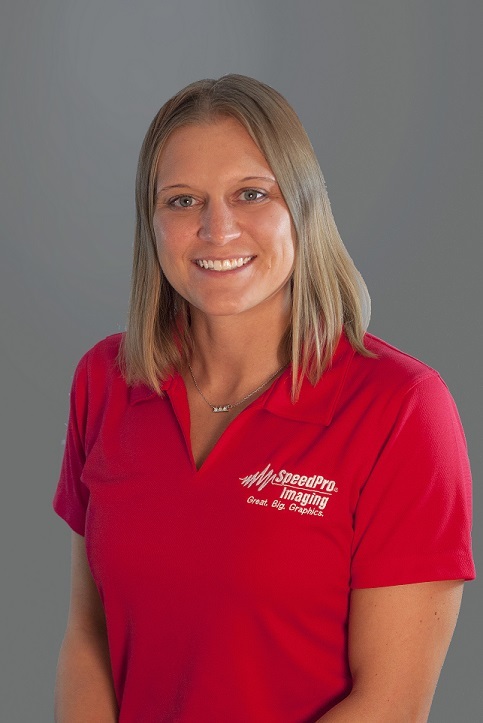 In addition to her love of helping owners within SpeedPro, she is an avid skier and long-distance cyclist. Bri has over 10 years of operations and management experience in the manufacturing industry and over 3 years in the franchise industry. She works closely with new SpeedPro franchise owners to ensure a successful onboarding and launch. 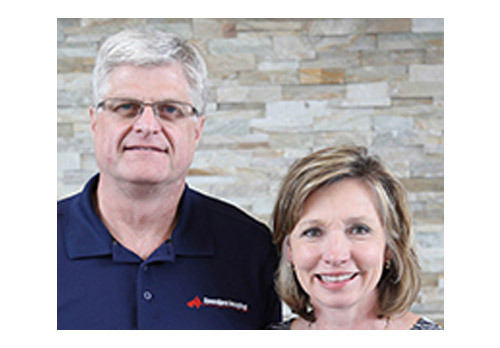 Once a new owner joins SpeedPro, Bri guides them through SpeedPro’s kickstart process, scheduling training and shipments of the start-up equipment package. In addition to working with new owners, she also assists with the daily operations of the home office and planning the annual SpeedPro Convention. Bri was born and raised in New Jersey and moved to Colorado in 2013. She and her husband have 2 young children and 1 fur-baby. Jenny grew up in Colorado and resides in the foothills of the Rocky Mountains. She enjoys singing, nature, gardening, hiking, baking and time with her family. Amanda is part of our Production Support Team at the Home Office. She has over 8.5 years of experience in the graphics and large-format printing industry. She comes from another printing franchise where she was the Creative Director. In this role she managed all file output, inventory of all parts and products, daily operation of printers, plotters, and cutters and oversaw the graphic design area. Originally from South Dakota, Amanda came to Colorado to finish her degree in Graphic Design. In her free time, Amanda and her husband enjoy backcountry snowmobiling in the Winter and spending as much time as possible at the lake in the Summer. Zack loves baseball (both playing and watching). He is originally from Canton, Ohio (Pro Football Hall of Fame location), and therefore continues to punish himself by remaining a loyal Cleveland Browns fan. Zack also volunteers his time as a Board Member of a local blindness charity (B.I.T. – Blind Institute of Technology), helping the blind and visually impaired find employment within the technology space. 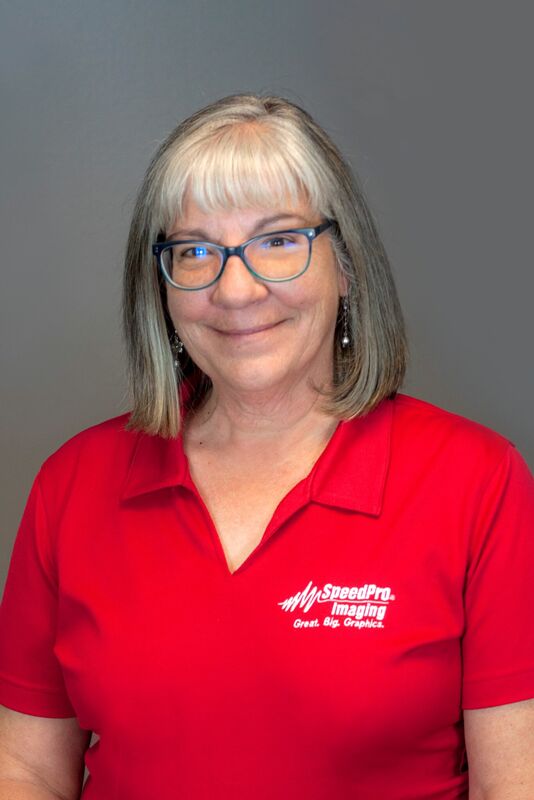 Gina has 5 years of experience successfully operating and profitably selling a Denver SpeedPro Studio and 12 years of experience as a Regional Developer within SpeedPro serving the Colorado Region. 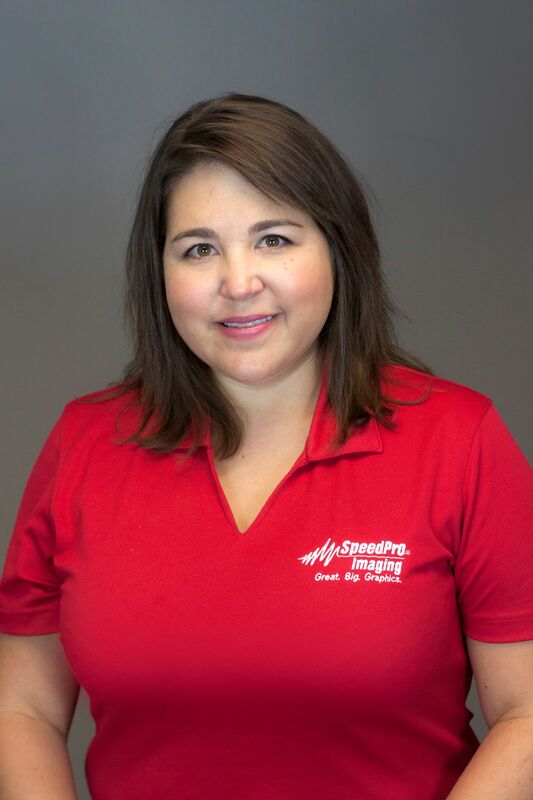 Gina comes to SpeedPro with extensive organizational and management skills from her time in the Respiratory Therapy field. 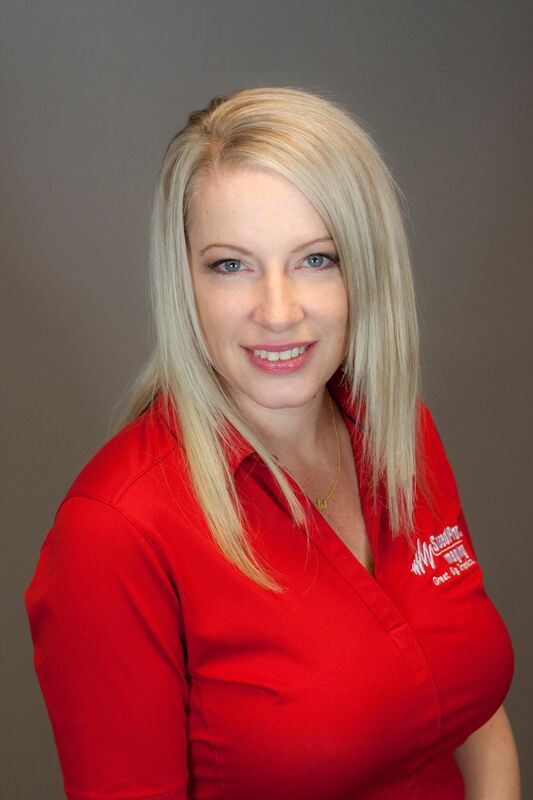 Nicole has over 15 years of business development experience and has spent most of her professional career at RE/MAX, LLC where she gained a diverse background in franchise sales, event planning and marketing. Her career developed globally with training in different markets internationally. 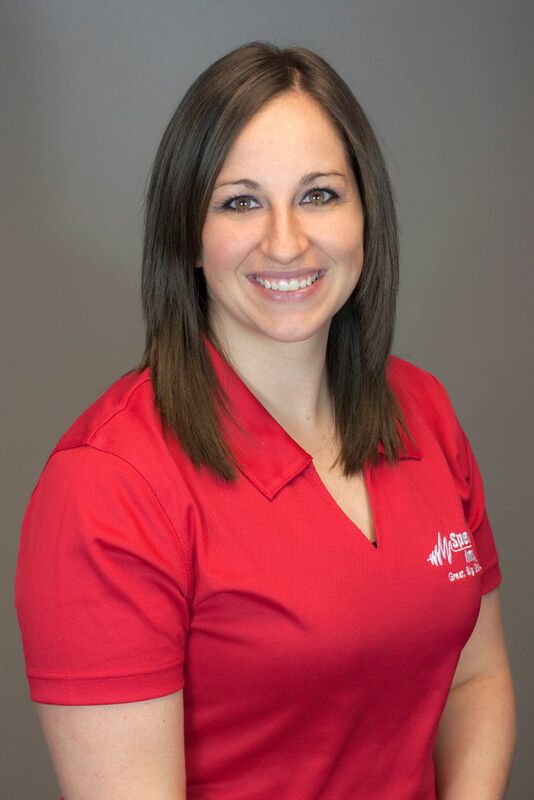 Specializing in franchise development over the past 5 years, Nicole helps professionals make the decision to transition into small business ownership with SpeedPro. 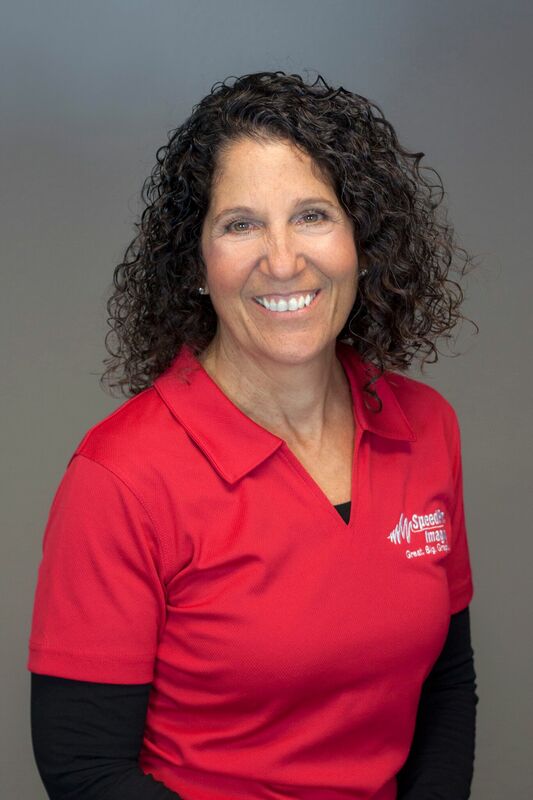 Danielle is a franchise marketing expert with experience at multiple brands including Ace Hardware, Elements Massage, Fitness Together and FIT36. 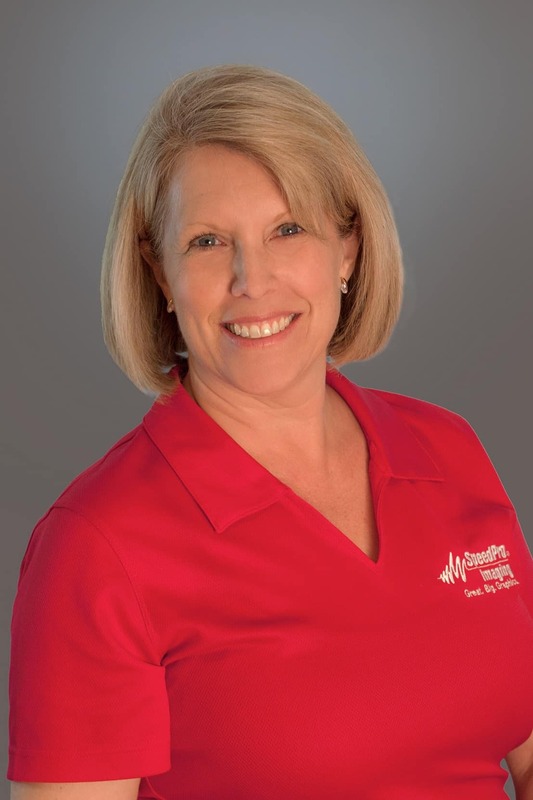 Danielle earned her Certified Franchise Executive (CFE) credential through the International Franchise Association where she serves as a member of the marketing and technology committee. Prior to entering the world of franchising, Yuthas was the Director of Search Engine Marketing at a Denver-based ad agency. Her fascination with digital marketing began when she joined Facebook as a user in 2004 and has grown ever since. In her free time, Danielle is a freelance journalist, animal lover, hiker, cocktail party reveler and teller of dry tech jokes. 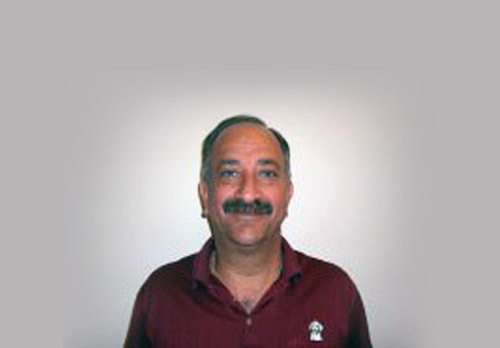 Bruce, a graduate of Branch College NYC brings 13 years experience as Regional Manager in the Staffing Industry. Bruce a huge USC fan, enjoys his family and sky diving. Borg is a West Point graduate and began his career as an Army officer, first stationed in Korea and then later at Ft Bragg, NC. A masters in systems engineering from the University of Arizona led him into the world of consulting. He also spent time in manufacturing as a manufacturing engineering manager and operations manager. 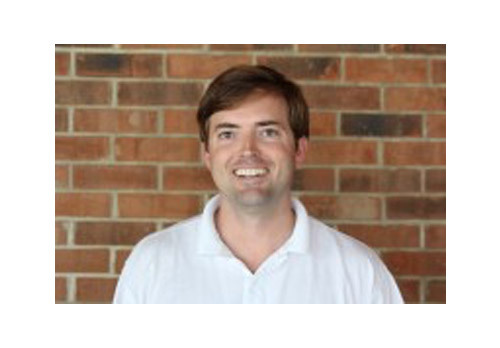 His last role prior to joining the SpeedPro family was Director of eCommerce at DHL Express. Ann likes to say her background is eclectic. Following a degree in chemistry from Cal Poly, San Luis Obispo, she also became an Army officer stationed at Ft Bragg where she met and married Borg. Following the Army, she spent time as a chemical engineer and completed an MBA. 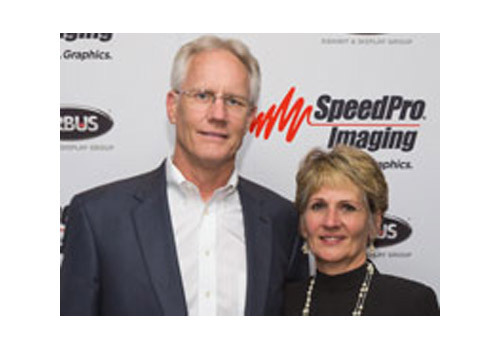 Borg and Ann have 5 children and joined SpeedPro in 2009. 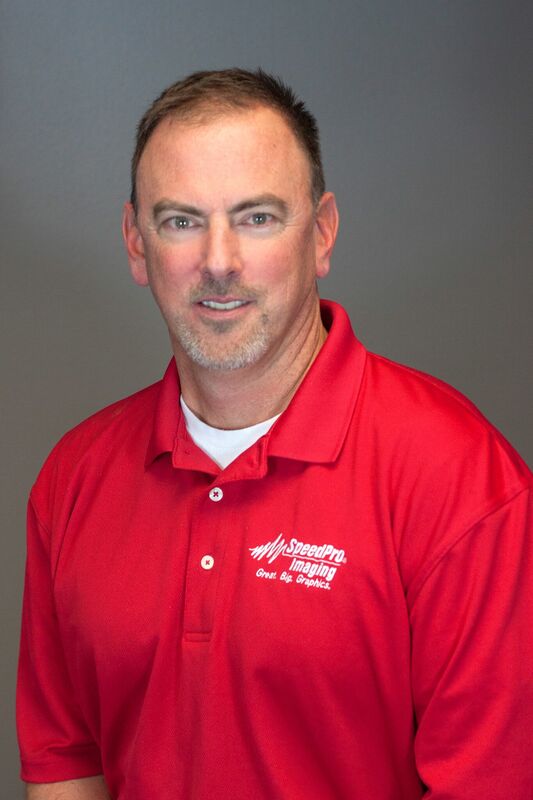 Bruce brings 16 years of experience with Precision Industries, where he held the position of Regional Vice President. A graduate of North Western College with a BA degree, he enjoys golf and water skiing. Dave received his B.S. from Oregon State University. 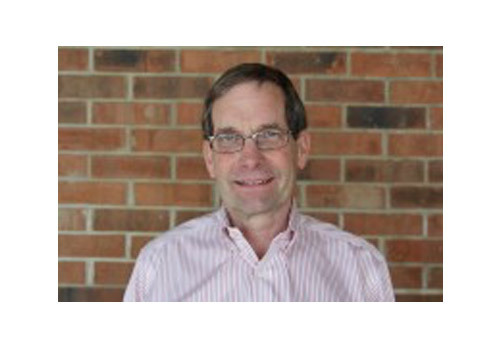 Dave worked for Campbell Soup Co. where he served as Director of the National Customer Team. Prior to that he was President of California Day Fresh Food, a division of Chiquita as well as General Mgr. of Chiquita Fresh Cut, Ohio. Dave enjoys spending time with his family as well as a good game of golf. Rich has 25 years of management experience with The Bank of New York Mellon and Mellon Bank; where he held a variety of senior management roles, including CEO of Mellon Leasing, Executive Vice President and Head of Credit Underwriting, Global Institutional Banking, International Banking, Corporate Banking, Loan Products and Portfolio Management. He received his BS from Brigham Young University and MBA from New York University. In his spare time, Rich enjoys spending time with his family and golfing. Lynne is a CPA and has worked for Marsh & McLennan and Arthur Young. She has volunteered with local government, non-profit, and religious organizations. When she is not working, she golfs or shops with her daughters. She prefers to golf. 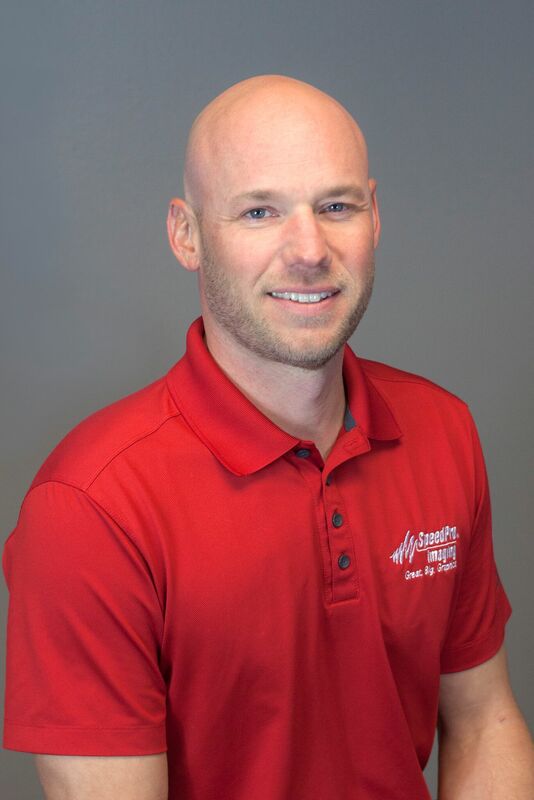 Scott graduated from Gettysburg College with a BA in business administration, and also holds an MBA from Rutgers University. He was involved in the start-up of a wireless company, Corporate Telecom. Scott built it into a successful operation and ran the business for 17 years before selling in 2005. It is with this experience in building a business and a brand that Scott has brought to SpeedPro Imaging. Scott enjoys travel and his involvement in Rotary. Ward brings to SpeedPro over 10 years of experience as an Investment Banker with Morgan Keegan & Co, as well as his private equity experience with a focus on multi-unit franchise and master development. Ward graduated from University of No. Carolina where he received his B.A. When not at work, he enjoys his family and fishing. 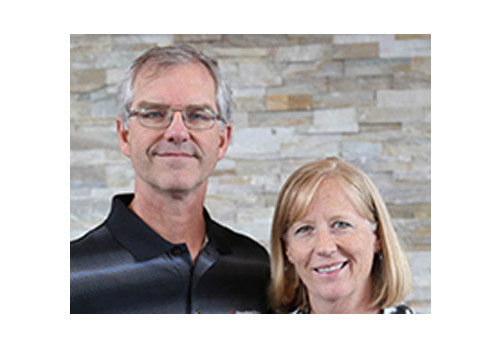 Mike and Denise Retherford have owned their Orlando based studio since 2010. 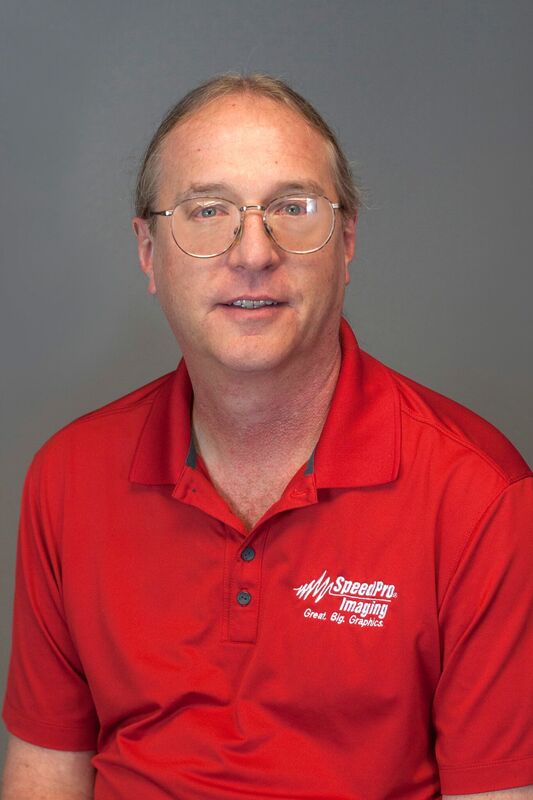 Mike brings more than 35 years of leadership and management experience to SpeedPro Imaging. He has held C-level positions at several organizations, in addition, he was a CEO coach for several years. He is a decisive leader, with a proven ability to dramatically increase operating results and profitability of businesses. Mike and Denise are both graduates of the University of Iowa. In addition, Mike received an Executive MBA from the Darden Business School.